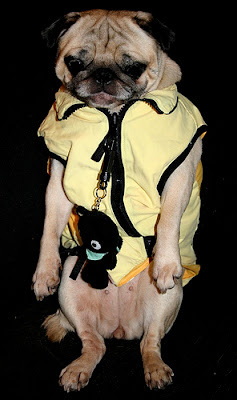 My Favorite Photos of Pugs I Don’t Know! | Separated by a common language. 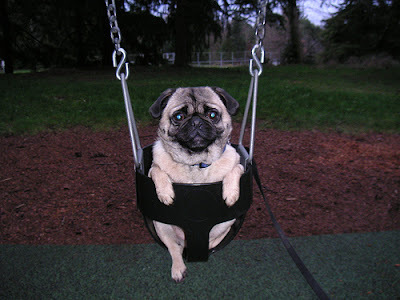 My Favorite Photos of Pugs I Don’t Know! The eyes on that last one?!?! Holy cow. 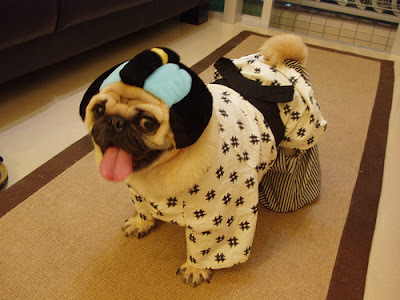 I quite like the sumo pug too! 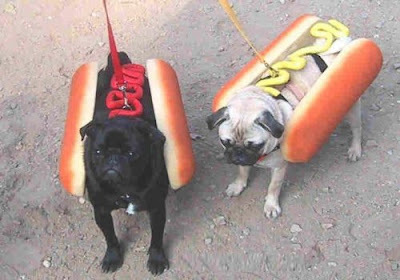 love the hot dogs, and the last one – hilarious! Is that Winston swimming in your lmizzle icon? 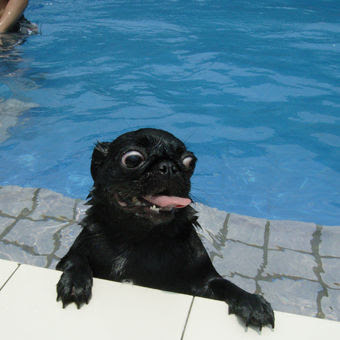 I want to take Deuce swimming! Oh my god, that one with the kimono on is priceless! And the big buggy eyes on the black one…hahahaha! Wow! My humans hadn’t laugh like this in a long time… Hihhihi! I love the weiner pugs! 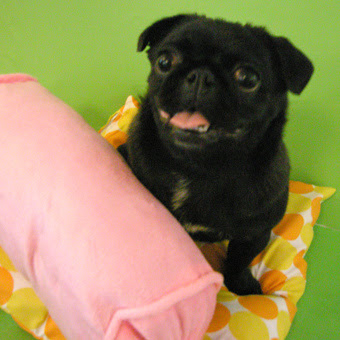 Good post, I might do my favorite pugs on my site too. Do it for sure! 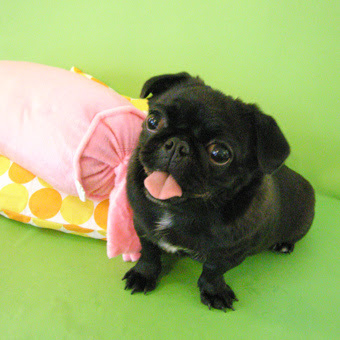 I love seeing new photos of pugs! omfg!!! how cool is that hot dog (literally!!) and japan outfit. YOU REALLY MAKE ME WANTING A PUG!! !